Free tickets are being offered to the Spirit of Speyside: Distilled festival, for anyone whose name sounds like a Scotch whisky distillery. The festival, which runs in Elgin on 9-11 September, is offering free entry for anyone named Glen Fiddich, Ben Riach, Glen Grant, Rose Isle or anything that imitates one of Speyside’s many distilleries. Festival organisers said the offer had been created to reward those people with distillery namesakes, who are ‘technically brand ambassadors for our Speyside whisky, spreading the name wherever they go in the world’. Festival manager, Pery Zakeri, said: ‘I would imagine that there might be a few people out there called Glen Keith or Ben Rinnes. Who knows, maybe there are even some Mac Allans? ‘Whatever the name, if they share it with one of our famous distilleries, then we will be happy to provide free entry to any one of the four sessions taking place at Spirit of Speyside: Distilled. 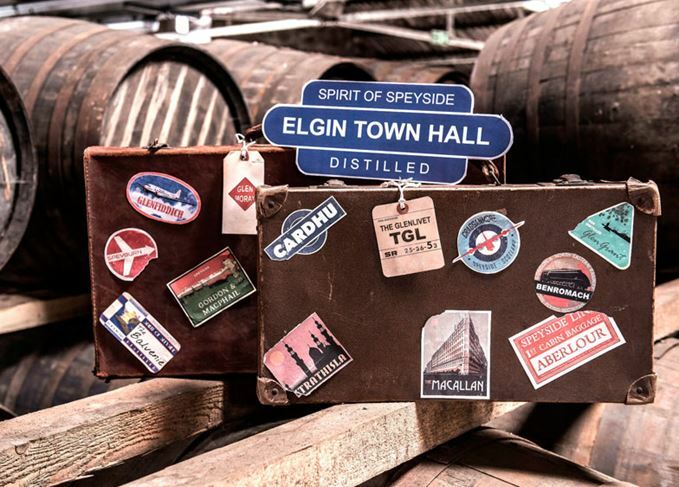 An offshoot of the annual Spirit of Speyside Whisky Festival, which takes place in multiple venues across the region over the May Day weekend, Distilled brings a variety of Speyside food and drink producers under one roof at Elgin Town Hall. Whisky exhibitors already confirmed to attend include The Glenlivet, Aberlour, Strathisla, Cardhu, Cragganmore, Glenfiddich, Balvenie, Benromach, Gordon & MacPhail, Macallan and more. As well as whisky exhibitors, the festival will feature stands from Scottish gins Gordon Castle, Caorunn, Berry Good and El-Gin, as well as beer from Windswept Brewing Co, Spey Valley Brewery and Speyside Craft Brewery. Cocktails will be provided by Rothes’ Station Hotel. Food will be provided by a variety of Speyside producers, including Walker’s Shortbread, Iain Burnett Highland Chocolatier and Balvenie St Ice Cream. Visitors to the festival will also have the opportunity to learn more about Speyside’s most famous export in a series of intimate masterclasses. Zakeri said the wide range of food and drink offered at Distilled will provide something for everyone visiting. ‘This blend will appeal to a mixed audience – people with an appreciation of malt and a desire to further their know-how through attending some of the masterclasses, and those who enjoy other drinks and are curious to learn more about whisky, gin and beer from the experts attending Distilled,’ she added. Spirit of Speyside: Distilled will be run across a mixture of four daytime and evening sessions. Tickets are priced at £20 per person, while masterclasses are an additional £15. Full details can be found at www.distilled.scot. The inaugural spin-off festival held in Elgin captured the essence of Speyside perfectly.